Hmm….wow where do I start. Ok that’s a joke. Kind of. I mean, let’s be real, nobody chooses to be a Mormon because they think it’s the easiest way to go. It’s a demanding faith, a lifestyle and identity which requires many sacrifices but I embrace it because I believe it comes with accompanying blessings which far outweigh the sacrifices. I think that what many may see as a restrictive lifestyle ultimately offers a lot of freedom if you interpret it the way I believe God meant us to. I believe God is a perfectly loving and adoring parent and as such His sole goal for us is that we are happy, that we reach our potential and experience the true joy attached to that. I don’t believe He is in it for the glory or the power. He’s in it for love. That’s all. When I was a young kid in South Africa, Mormonism was practically unheard of and I was always mortified when my parents would slip into LDS lingo in front of my friends. I didn’t want to be seen as different or weird. When I was a young teenager, Mormonism was more well known but definitely still seen as very cultish. I was ok with people knowing that I was a Mormon but I felt extremely defensive of my religion and it stressed me out to feel as though I was constantly called upon to defend it. As an older teenager I relaxed somewhat and became comfortable and proud of my identity as a Mormon but it irritated me that pretty much anything I did that might seem out of the ordinary was attributed to my Mormon-ness. 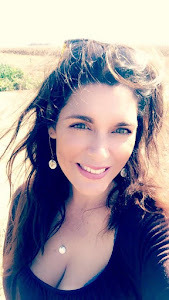 When I abruptly left my school in Southern Africa to go the an LDS school in the US and very shortly after that became engaged and married, rumors swirled that I had been sent away for an arranged marriage. (And those are just the rumors people confessed to me, I’m sure they got worse). I get it. It was a pretty weird and sudden turn of events which shocked me most of all and I’d have probably thought the same in their shoes. But it wasn’t an arranged marriage, it was just boring old love. As a younger adult, I was somewhat more confident and very open about my religion but my heart would still freeze and then pound frantically when I read negative insinuations about my religion and I would leap to the defense. It was very tiring. Now that I’m a bit older I am in the wonderful position of no longer caring. I know that my religion has certainly defended itself from much worse assault than people saying mean things about it and it really doesn’t need me to fight any battles for it. I don’t get upset when I read or hear people being negative about Mormonism anymore. It really doesn’t bother me at all. I don’t take it personally. I really don’t. And here is why. I have learned over the years that when people talk about “The Mormons” they don’t mean ME. They might think they mean me, but they don’t. Yes, I am a Mormon, yes my faith is very central to my identity and who I am but my relationship with my faith is my own, it is personal and unique. Nobody’s faith is exactly the same. The trouble with being Mormon is that unlike being Protestant or Lutheran or even Catholic, you tend to be automatically lumped into a homogenous group. Your identity in the view of others instantly narrows. Over the years I have heard things like “wow you aren’t like any other Mormons I have known” or “you’re the coolest Mormon I know” or “that doesn’t sound like what I know about Mormons” and I always wonder how many Mormons the people who have said this actually do know. Because funnily enough, we are all individuals. And when you break it down, we are as alike as individuals to each other, as we are to anyone outside of our faith. And as much as I would like to believe that I am, and my teenaged kids would like to assure me that I am not, they are right I am not particularly cool and there are lots of other Mormons who look at some things similarly to the way I do. I would say that my split of very close friends outside and inside of my faith is about 50/50. And I would say that the reason that I am friends with people inside of my faith is because I met and hung out with them at church and got to know them better. I think our relationships developed like any friendship does from acquaintance to friendly to close because we had other things in common. Yesterday I was scanning a post on a blog I have never read before. It had about a thousand (literally) comments and I was sort of half heartedly skimming and scrolling through a few before I closed the page. One really brief one caught my eye. I read it and thought, “ wow, now that’s awesome. I love that. It reminds me of something Julie would say”. Then I looked to see who wrote it. Sure enough, it was my friend Julie. It was pretty cool. Julie is a Mormon too and I knew on the first Sunday I heard her speak in church that I wanted to get to know her better. I clicked with her on a personal level. It had nothing to do with the fact that we were both Mormon. It had to everything to do with something she said about how she felt about being a Mormon. Now, I honestly can say that when I stand at the podium at church and look out at the congregation I feel a great sense of love for everyone I see sitting in the pews. I think this happens when you share experiences with a group of people where you are touched by the Spirit. The Spirit is a spirit of love and unity and you associate those feelings with the people you are with when you feel them. Not to mention that so many people in that congregation have done so many truly kind and Christian things for me and my family and for so many others. So yes, I do feel great affection for the members of my congregation at church. I like being with them when we are at church. But honestly, outside of church meetings and activities I just don't have a whole lot to do with many of them. Some of this is because we are all busy and when I have a free moment I generally feel the need to go fetal in a sensory deprivation chamber rather than forge new or stronger friendships, much as I would like to. But it's also because outside of going to the same church, many of us just don't have a lot in common. It is not like just being Mormon is enough to sustain close friendships. Just like all Catholics don’t chill together on the strength of being Catholic. And all Methodists aren't joined at the hip just because they are Methodists. My closest Mormon friendships happened because we share similar views of the world and similar ways of interpreting our faith. But even among my like-minded Mormon friends there is individualism. We certainly don’t hold the same opinions on everything. That would be really boring. We differ on many issues. Because we are individuals. We have separate brains, separate perspectives, separate life-experiences. We come from different cultures, educational backgrounds. We are different. The trouble with being Mormon is that many people in our society do not seem to understand that we are just like anyone else when it comes to having thoughts and feelings and beliefs and opinions. To them, Mormon is Mormon. We are brainwashed lemmings. One speaks for all. And that is simply not true. An illustration: Glenn Beck and Joanna Brooks are both Mormon. Two more different views on the world and our faith you would be hard pressed to find ( for the record, if I could choose one of them to have dinner with, it would definitely be Joanna Brooks). The trouble with being Mormon is, that when someone identifies herself as Mormon in the name of her blog, and then she writes a homophobic rant on that blog about a Disney movie and that post goes viral, those of us who aren’t homophobic become uncomfortable. It's not because I don't want people to think I'm weird. I don’t really care if people think I’m weird anymore (because I am, aren’t we all?) And I don’t care if people think my faith is weird (because c'mon now, it totally is…aren’t they all?) But I do care, very, very much about kids and young adults and even older adults who are gay or lesbian or bisexual or transgendered or in any way different, and feel marginalized and isolated by society. I care very much about people I may go to church with, a place which should feel safe and accepting and embracing who may read that and feel uncomfortable and threatened at church, wondering if everyone else there thinks the way this woman does. I care very much about people who may stop going to church altogether because they feel that there is no room for them there because of the views this woman has expressed. I care about anyone with a gay child or sibling or parent or friend who may read these hateful and misguided rantings and think they represent the rest of us. I care about anyone gay or not who may read what this woman wrote with a sinking feeling of despair and fear. I care that anyone may think that because I share the identity of "Mormon" with this person that I also believe that being openly gay is unacceptable and an abomination, or that their feelings over which they have absolutely no control are frightening and dangerous and unnatural. Because as far as this Mormon (and a whole lot of others) is concerned that’s not true. If you are a Mormon or even a non-Mormon and you don’t fit into the mold of what Mormons like this woman have decided is ok, let me tell you that I think you are ok. So what? What are my credentials? Who am I to say that? I must be some sort of sub-Mormon, a fringe, edgy liberal Mormon who can say this, right? I don’t really represent real Mormons, right? Sadly I'm not really edgy or interesting at all. So what? Am I trying to say that I am the perfect Mormon and therefore I get to say you are ok? Heck (dare I say hell?…yes I do dare say hell because where-I-come-from-it-is-not-a-swear-word, and even if it were, I’d probably still say it because the truth is, I swear quite a bit and I think there are far worse things I would do if I couldn’t….so..) HELL no.. I am not remotely perfect. Not even in the same city of the ballpark of perfect. But I’m a Mormon too. And gosh darn it by golly gee I GET TO HAVE MY SAY TOO, (Dammit). I am frankly, sick and tired of other imperfect people speaking for me and representing me when they really don’t represent me at all. Heck, (I felt ok saying “heck" that time) I don’t even represent MYSELF from a few years or even months-or possibly days- ago. I have changed my mind (and will no doubt continue to change my mind) on so many issues as my understanding expanded, I met new people, had experiences and educated myself. For instance, the way I changed my opinion regarding legalizing abortion. I was vehemently against it but now I am for it because I have done enough research to know that legalizing abortion makes for FEWER ABORTIONS. And anything that will save babies who could be given to loving couples desperate for babies, and save young women from the devastating emotional and physical repercussions that abortion so often has, is something that I am totally for. And the way I used to think that marijuana should be illegal. Until I nursed my mother in law through the horrendous aftermath of chemo. Then I wondered why something that is natural, easily grown and known to be extremely effective without the harmful and horribly uncomfortable side effects of the exorbitantly expensive chemical cocktails (which are legal) could not be given to relieve the misery of this woman. This wonderful woman who had spent her whole life taking care of other people as a nurse and a mother but was legally prohibited from using effective comfort measures on her deathbed. Maybe some of my more liberal views will become more conservative with different experiences and different information. I’m perfectly open to that, it’s happened before. All I am saying is I know it’s natural to do so, but maybe consider not judging Mormons en masse or assuming you know the way Mormons think or believe or feel or vote. I don’t know any Mormons who aren’t doing their best to do what they think is right. And I know there are many of them who might be deeply uncomfortable by having what I am writing in this blog post representing them. There are yet others who will be grateful for what I’ve said, and plenty more who would be completely indifferent. Just like everyone else on the planet, every Mormon is here on an individual journey with unique baggage. I am genuinely sorry about the pain and turmoil which seemed to motivate the blog rant I referenced above. I feel compassion for whatever drove this person or any other person who writes hateful and fear-filled rhetoric of any type, to express those feelings. I pray that they will find clarity and healing and peace. I also pray for those who may have been hurt by what she wrote. I think we make it so complicated when we decide to judge. It's so much simpler to have the policy of just being kind and sensitive to one another’s tender feelings and struggles. Happily, that’s all we have ever been asked to do. God was so kind, so merciful as to spare us the burden of judgement. I am oh so grateful for that gift. What do you say we all just do what we can to be an instrument of His peace, to seek to understand rather than to be understood? To love one another, and treat them kindly too? To do good in the world every day? To help someone in need? To cheer up the sad and make someone feel glad? I'm going to do my best to stick to that policy. Because it's only when we don't do those things that we have failed indeed. My follow up post to this one: Why being "cool" (liberal) and a good Mormon aren't mutually exclusive. 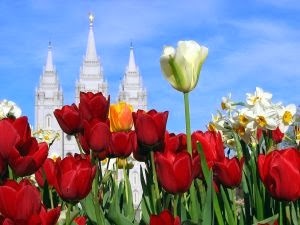 I'm reading: The trouble with being "A Mormon" (in the opinion of one active LDS blogger)...Tweet this! You have such a refreshing "voice" on your blog! Thanks for putting this out here for a conversation, popular or not! I agree! Read it out loud to my hubby. Great post, thanks. Wow--thank you for this post. I think too often even Mormons get a bit overwhelmed by the apparent cultural monolith; it can feel like we're alone or wrong in having different opinions. I'm glad there's been an outreach in recent years to Mormons who have a diversity of opinions and views, and that you're willing to speak up and share yours! Thank you. You said: "Nobody’s faith is exactly the same. ... I don’t really care if people think I’m weird anymore (because I am, aren’t we all?) And I don’t care if people think my faith is weird (because c'mon now, it totally is…aren’t they all?)" I say: Kirsty, you are one of the most awesome and inspiring people I know. Once again, The Hat is off to you! Well said! It is a pity that you do not have the courage of your convictions to post your name? Do you fear the wrath of "the world? " To judge someone from behind the cloak of anonymity seems to be the ultimate act of a wolf in sheep's clothing to me. For the record, I have no trouble with "offending the world" clearly I have offended you and perhaps other conservatives like you. I am not naive enough that I did not anticipate that not everyone would love what I wrote. "Some mormons want to be a Mormon but also be accepted by society"...tell me dear Anonymous, are you not part of the world? Are you not part of society? Clearly, I am unconcerned about not being accepted by your version of society. Did that not occur to you? Clearly I am willing to stand by my views, regardless of what some may feel about them. If you had actually read my blog post thoughtfully, with the intent to attempt to at least understand my point of view, you would see that I am concerned that ALL of God's children feel love. Not just the one's that you deem worthy of it. I believe that Jesus would want me to do that. In fact I know He would. I am curious. Do you know more than my Bishop does about my worthiness to go to the temple? Perhaps the personal revelation I receive about my beliefs and my opinions is not valid in your judgement? and then perhaps you should review Matthew 7:1-3. I would be happy to discuss this with you further in a civil and honest manner but that is impossible to do when you won't post your name. I love everything about this! Thanks for posting your truth (and mine). In a seemingly never ending online presence of fanatically conservative LDS women (if only you could see my daily FB feed - it's downright ugly at times), it's so refreshing to read something that makes me feel like I might not be alone in my LDS experience after all. That you can embrace and honor your religion/spirituality/covenants and still be compassionate, kind and forward-thinking. That the two, despite what my own FB fanatics might think, can co-exist. And for the record: I think, in real life, we too would be 'Mormon Friends', too. Would you please post a link to the other women's blog post that you alluded to as being homophobic. I'm curious to read it. Hi Sarah, I would rather not . I prefer not to link to things which I find distasteful or harmful on my blog and I do not want to contribute to the viral nature of the post I hope you can understand. I love this post (as I love all of your posts). And I think it is such an important discussion. We live in a world where offense is taken so easily... (and we are part of a faith that reminds us that if we take offense, that is OUR flaw to work on)... and yet it still happens. It is not one side vs. another, one faith more than others. Everyone is subject to it. And if we could just remember that we are all different both within and outside of any faith - none of us were cut from any type of imagined cookie-cutter, in terms of physical traits, personality, intellectual approaches, emotionality, and even spirituality, how much better could society be?? We all have different degrees of spirituality and of religiosity (two different things and a very important distinction). We all have different life experiences that shape our world view... which means we all have our own realities to work through and to SEE PAST to understand anything close to an actual world view. And you have captured this here so beautifully. I am impressed by the support you are receiving in the comments, and the hits, as well. But I am wondering about the Anonymous post... to anonymous I would ask, "exactly what two masters is she serving?" I see her, and myself, as serving only one Master... it seems that we are focusing more on the Master which encourages LOVE (not simply tolerance - which does not mean what most people thinks it means and is actually somewhat of an ugly word and concept... hence President Monson's declaration of "tolerance and kindness" in a recent conference address), the Master that taught us to not judge lest we be judged ourselves, the Master that put other people's needs above his own, a Master which made it possible for everyone to have FREE AGENCY (never did He remove someone's opportunity to chose a path, never did He suggest we should enforce church doctrine on anyone believer or not), and I could go on and on. And really, when did "we" come to believe and expect a government to create rules and policies enforcing our beliefs and ours alone? But the overriding, and to me the default commandment that I find most essential to follow, is to not judge others and just be compassionate. People are going to do what they are going to do, the world is going to change how its going to change, being full of sternness won't benefit anyone. But love - nonjudgmental, supportive love - of everyone, believer or not, is how to be Christlike. That is how to embody the very essence of His teachings and our gospel. And, personally, I see this as how to live IN the world, but not be OF the world. I really appreciate how Kirsty put it, Heavenly Father and the gospel have so lovingly "spare[d] us the burden of judgment". Does anyone reading this really WANT to take that burden on? Do we really WANT to answer for the judgments we make here of others (no matter the accuracy of those judgments or the behavior/practices/believes of those individual relative to our own)?? I sure as heck don't want that. I have plenty of burdens to keep track of, thank you very much. And how grateful I am that Heavenly Father caused this burden to fall to only those worthy and qualified to make those judgments. Cuz it ain't any of us! So anonymous, and others, they get to claim their own version of Mormonism when they stand at the last day. The liberal Mormons gets to take responsibility for theirs as well. And, in my opinion, if each of us have lived the gospel to our absolute best (no matter the end of the spectrum that falls on), and we have remained Christlike, loving, and nonjudgmental, the Lord will be pleased with us. You know, in D&C 45:3-5, when Jesus is being our advocate and "pleading your cause before him", he doesn't advocate only for the believers who decide they are better than others and chastise those that don't believe and behave just as they do. Truly... this is all pretty far from sheep's clothing and serving two Masters. Okay...so I am very tired but have been reading the posts which are, as I, express gratitude for Kirsty's blog. Anonymous had a different perspective which was also addressed eloquently by others. I would like to just say a few more words. I might very well be the oldest "Mormon" in on this dialogue so maybe I can smugly think I might have a bit more wisdom. I grew up in a family of Mormons but my parents were not active. In fact, far from it. I was blessed enough to marry a wonderful convert who has led our family down the path of Mormonism and am very grateful. I don't know how I might have ended up otherwise as addiction is in full force in my family line and the addiction I have is for sugar. This hit home for me. My second semester of teaching, it came up on the first day of class that I'm LDS, and one of my students transferred to a different section the next day. While of course I can't say with 100% certainty why, I'm fairly certain that he was gay (not something one tries to hide in Berkeley), and that he was uncomfortable knowing I was Mormon. It still breaks my heart to think that he didn't feel safe in my classroom because I'm LDS. Open, honest, and real. Just what I'd expect from my friend, Kirsty! Well said. And I would like to add that although I am not a Mormon, I am a Christian and I've seen so many people "judge" and lump Christians together in the same stereotype conservatism you talked about. Why can't people just be individuals and not slap a label on them immediately? I've been convicted lately of a lot of thing and one major one is that I wish people would stop looking at the "issues" they are fighting about and instead, look at the people. People are not issues. They are a child of God. PERIOD. "I absolutely believe that following the gospel in its purest form will help people to be a lot more happy and perhaps even more sane and together than they otherwise would be"
"God was so kind, so merciful as to spare us the burden of judgement. I am oh so grateful for that gift." and the whole last paragraph and especially the last line. Hi Kirsty! I'm Amanda's friend, Angie. She has been telling me to read your blog for quite some time, and this is the first (or maybe second, can't quite remember) post I have read. I loved reading it and learning more about you as a person and as a Mormon. As a friend to a so-called Mormon, I find myself being defensive, too. Now, I know, there is another way! And not that my opinion counts for much, but I think you are pretty cool!